Why Work With Us | Latko Wealth Management, Ltd. 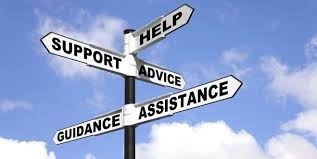 There are over 32,000 Financial Advisors in the Chicago land area, Why work with us? Below is a picture of the financial body, where there are many different parts just like a real human being. Where we see many financial plans go wrong is when there are several different people trying to control this body, different advisors, lawyers, accountants and so on, all trying to move on their own instead of in unison. Worst of all, charging different fees to complete these tasks. When you work with us we encompass the entire financial body, we want to take care of all your needs and questions under the same advisor fee we charge that is solely linked to the investments. You call us whenever you have a question about ANY topic and if we don't have an answer our promise is to find you one. The Biggest problem we here from clients who are referred into us is most people leave their financial advisor confused about whats happening with their money or what they own. We never want any of our clients to leave our office confused, that's why our core values focus on education and transparency. So many individuals get sold a product because it benefits the advisor and not the investor. When you work with Latko Wealth Management we do our best to make sure you understand everything that is taking place with your future. Our mission at Latko Wealth Management Ltd. is to deliver tailored investment and planning solutions with a fee-based service to every client. You will receive guidance and insight free of any conflict of interest and we do not sell products or receive commissions. As a fiduciary, your interests must always come first. Most of our clients pay between .95% and 1.25% of assets under management for investment expertise depending on the size and complexity of the account. Your costs will be clearly defined and easy to understand with expenses kept low (0.05%-0.25% annually) by using low-cost Exchange Traded Funds (ETFs) and mutual funds. We do not charge our clients for office appointments or phone calls. Investment management is done in the context of an overall financial plan, taking into account taxes, estate issues, and all portfolio assets held here and away. 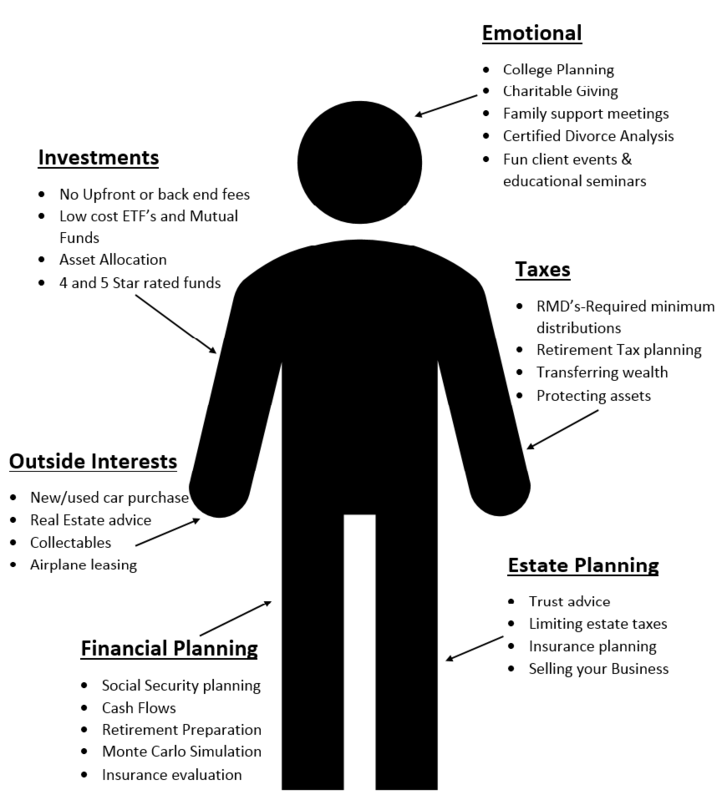 Each plan is designed to have a clear picture of how the investments we manage fit into your personal situation. With state-of-the-art cloud-based software, we run a series of scenario analyses to provide a dynamic, continuously updated view of your financial situation today, and in the future. The goal is simple: to help successful individuals simplify their personal finances and plan for the future with confidence. Your goals, age, and attitude toward risk are very important when deciding what types of investments are appropriate for your individual portfolio. We are always monitoring your risk appetite every time you come in for a review to get an updated understanding of just where you want to head.